Sam Calagione — founder and president of Dogfish Head Craft Brewery — often paddled past a nondescript, family-run motel hugging the Lewes, Delaware shoreline. He didn't think much of it — that is, until his wife Mariah saw it up for sale one day. The Vesuvio Motel, as it was called back then, had been family-owned since the early 1970s. Mariah scheduled a meeting with its owners, and before you knew it she and Sam were motel owners. 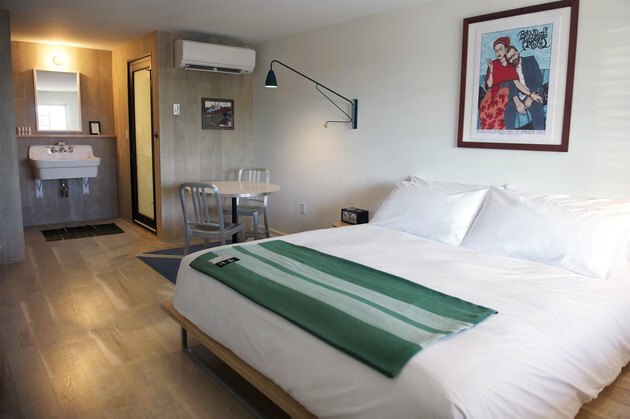 The 16-room, midcentury Dogfish Inn (plus a two-room cottage suite dubbed Cottage Sweet) opened in July 2014 with a crisp, nearly all-white design. So what prompted the Calagiones to expand from beer into the hospitality industry — a whole new beast? They already had a brewery and production facility in Milton and two restaurants (Chesapeake & Maine and Brewings & Eats) in Rehoboth Beach, after all. 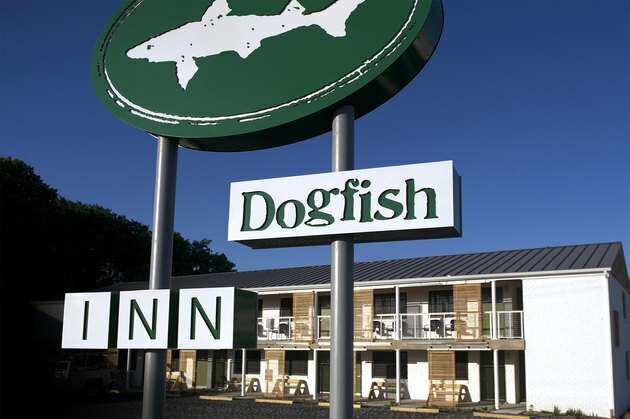 "Beer is a huge piece of who [the Dogfish brand is] — it's in our DNA," Dogfish Inn innkeeper Andrew Greeley told Hunker. "Food is also a huge part of it, and art and music. As we've grown, we've become more and more about the all-encompassing experience. 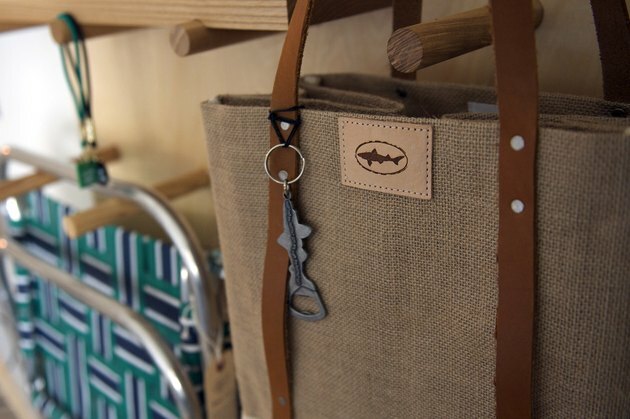 We're home base for [visitors] exploring not just Dogfish Head but also coastal Delaware." With this in mind, Brooklyn, New York firm Studio Tack took on the remodel of the inn. About a dozen designers collaborated, including Flint Alley Furniture in western Pennsylvania and two makers of furniture and lighting: Fort Standard in Brooklyn and One Forty Three in Henderson, Nevada. Local artist Steve Rogers painted a unique homage to the nearby Lightship Overfalls (a ship), which is a National Historic Landmark, for every room. These paintings are hung in One Man Gathers frames, born out of wood salvaged from a New Jersey barn. Above all, the goal of the inn is to get people off the beaten path. "We've done that with our beer styles, and we want to do that with our hotel," Greeley said. 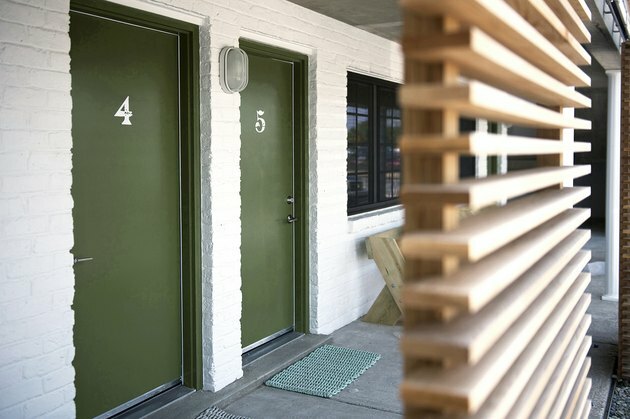 Fresh coats of white paint on the exterior, plus a sage-like shade of green on each room door contribute to the inn's modern, minimalist look. Partitions on the balconies serve a dual purpose: They allow natural light to bleed through while also providing partial shade. 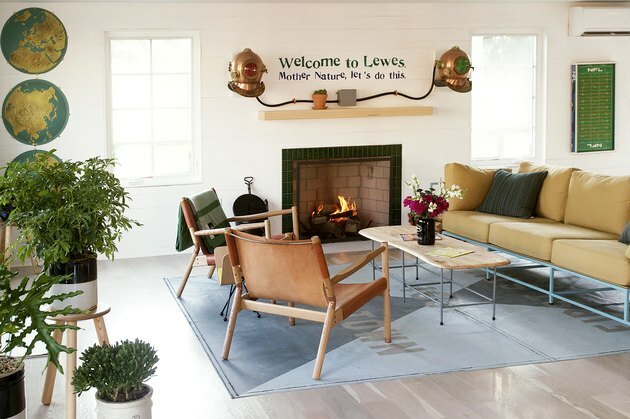 A fireplace with a green tile border (in perfect pitch with the inn's signature green hue), along with potted plants, fresh flowers on the coffee table, and furnishings in assorted shades of beige and blonde create an inviting spot for guests to relax. The Calagiones provide links to products featured in the inn that visitors can buy for their own homes on their site. 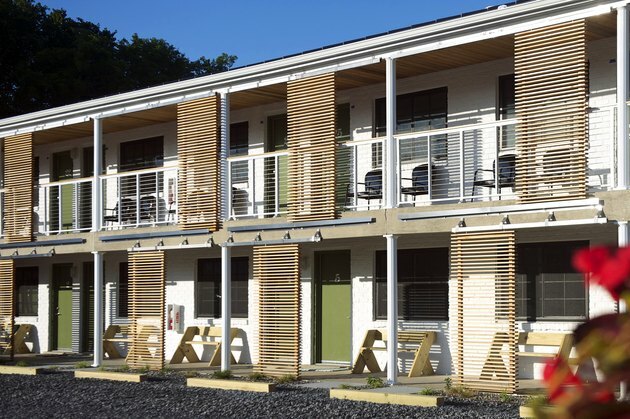 Collaborations on the inn project include Lawn Chair USA — an eight-year-old maker of retro-style webbed lawn chairs with aluminum frames — a popular style decades ago, for example. 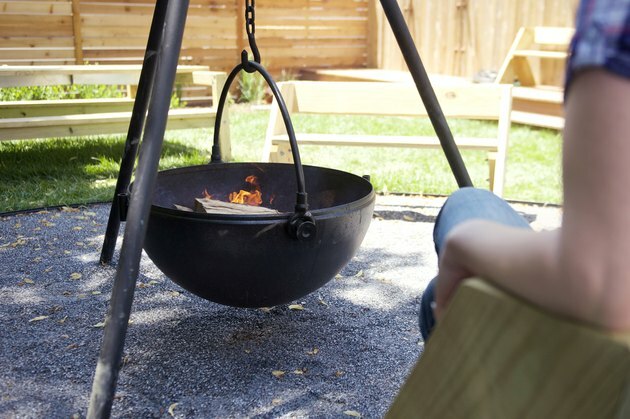 Innkeeper Greeley loves to watch connections being made at the antique fire pit, referred to as the Cowboy Cauldron, which also hosts a s'mores bar. "I've watched people rebook with guests they've never met before and drive back to Philly with people they've never met before," Greeley says of the relationships made at the fire pit. Guests are encouraged to explore outside the hotel, including the nearby beach. Eight rental bikes are provided for leisurely rides through wooded areas and along the coast that also connects to one of Dogfish Head's restaurants. Laid across each bed is a cozy signature Dogfish Head blanket created in collaboration with Woolrich. On each nightstand is a Tivoli radio and hung on the walls are screen-prints of Dogfish Head beer labels. The desks are by woodworker Brian Paul Kolakowski in Pennsylvania.